Western Enterprises’ Commercial Real Estate Division provides commercial property management, leasing, and sales services throughout Anchorage and South Central Alaska. Western’s Commercial Real Estate Division assists commercial property owners in the managing, leasing and selling of office, retail, warehouse, combination spaces and industrial properties. At Western, we believe in building long-term relationships with both investors and clients alike. Our owners range from individuals and family corporations to large native corporations and financial institutions. You name the business type and chances are we have them as a tenant. We have excellent tenant retention with businesses expanding and staying in Western managed buildings. Western’s Commercial Real Estate services include marketing commercial listings for lease and sale through advertising, signage, MLS listings, the creation of marketing packages and brochures, and placement of the listing information on Western’s proprietary LeaseAlaska.com website featured property pages. Our commercial realtors aggressively contact potential users for our listed properties and send out frequent listing flyers with local and national brokerages. Western shows properties to prospective tenants and assists in the lease/sales negotiations. Other commercial services include: real estate market analysis, consulting, administrating tenant improvements and capital improvements, and representing owners, sellers, and buyers. "At Western Enterprises our Commercial Property Management and Sales and Leasing Team can provide the full range of diligent, efficient and cost-effective services to our commercial property owners and business clients." Brokerage Services – Whether you are looking to sell, buy, lease or have your building leased, our hands-on team of friendly, knowledgeable licensees can assist you in selection and negotiation. Sales & Leasing – Our team works to find the right tenants for your spaces. We know how important it is to find the right match so both tenant and owner are comfortable. Property Management – Running an efficient property to ensure maximum cash flow is critical in today's economic climate. Western Enterprises' Commercial Real Estate Division can provide you with excellent accounting and management services to ensure your peace of mind by way of proper planning, cost analysis and savings, and tenant retention efforts. Andrew, a born and raised Alaskan, grew up on an Alpaca farm his folks established just south of Big Lake. After graduating from Houston High School he decided to pursue a path following his father’s first passion, commercial real estate and property management. He spent his next four years obtaining a duel degree in Finance and Real Estate from Florida State University. His studies in appraisal, market variance, and real estate accounting were beneficial toward a career in this field. After a year of managing the #2 grossing Jimmy John’s franchise in the country, Andy felt the calling to return home and begin his career with the family company of Western Enterprises, Inc. Andy started with Western in May of 2011 with the goal of becoming the voice for the numerous buildings we manage in Wasilla, and to help our tenants by providing dedicated local representation. He believes strongly in building tenant relationships and furthering the good reputation of Western and their employees. As a student at Florida State, Andy purchased a residential property close to campus with three others, where they lived and regularly made improvements. It was a great opportunity to gain firsthand experience, while at the same time applying what he was learning in his Real Estate and Finance classes. It is still owned as a rental unit that he leases to a couple former employees of his and as a place to tailgate when he wants to see a great Seminoles football game. Western is continually adding commercial buildings in Wasilla, with two more soon to come in the City Center Wasilla complex. Andy will be working closely with the leasing, property management, and professional needs of tenants for all of these and other non-managed buildings to help facilitate the growth and prosperity of small businesses in the Valley. He is continually looking for new properties for investors and Western alike to fill the demands of one of the fastest growing areas in Alaska. Robert “Bobby” Moats is married to the love of his life, Aimee. Together they purchased their home in Anchorage, Alaska where they plan to raise a family. He is originally from the “Iron Range” in northern Minnesota. As many others before him, the lure of the Last Frontier drew him even further north, to Alaska. Upon moving to Alaska in 2001, Robert took an interest in construction, and worked in carpentry and maintenance divisions for Western Enterprises, Inc. from then until 2006. 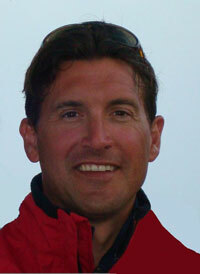 In the fall of 2006, he became licensed as a salesperson to practice real estate in Alaska. Since then he has used his construction background to represent buyers and also sellers in countless commercial lease transactions, always finding creative ways to locate or create the ideal environment for their businesses. Robert engages in lease negotiations for managed and non-managed properties throughout Anchorage and Wasilla and provides fresh ideas and concepts for Western’s new construction development projects. In 2011, Robert received his Associate Broker’s license and is presently a Property Manager and member of the Board of Director’s for Western Enterprises, Inc., where he strives to live up to the golden standard set before him in the management of the numerous Office, Retail & Industrial properties. Robert is a born nature enthusiast. Robert, his wife, and their yellow lab (Paxon) spend much of their free time hiking, climbing, and photographing wildlife in South Central Alaska. They, Paxon excluded, also enjoy kayaking, canoeing, backcountry snow machining, skiing, and snowboarding. Robert also emanates a hunter-gatherer mentality and goes out with his uncle, friends, and father in law every chance he gets to stalk the ever-elusive Alaskan moose, bear, game birds, and catch any fish that will bite a hook or swim into a net. Alaska has provided both the career and the personal goal opportunities for which he had been searching. Born and raised in Alaska, Chad Powelson graduated from Robert ServiceHigh before moving on to attend Arizona State University in Tempe. Chad graduated with a Bachelor of Science majoring in Business Management with an emphasis in Small Business Development/Entrepreneurialism. Chad has worked in Commercial Real Estate for almost 15 years with Western Enterprises, Inc., first beginning his career as a property manager for Western where in addition to brokering numerous non-listed leases, he exclusively manages and leases about forty Office, Retail and Industrial properties for a variety of individual owners, LLC’s and corporations. 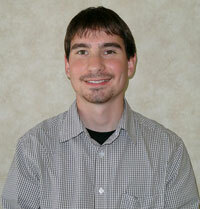 Chad has and continues to successfully search for and negotiate properties for purchase and lease. To date, he has developed nearly a dozen multi-million dollar buildings, purchased or sold numerous commercial buildings and commercial condos, and negotiated hundreds of leases. 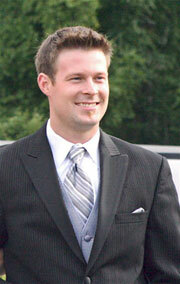 In 2005, Chad was promoted to Vice President and in the same year, he became the company’s Broker. In 2006, he acquired ownership interest in the company and in 2009 Chad was promoted to President and CEO of Western Enterprises, Inc.
Chad approaches all aspects of commercial real estate from an investor’s point of view working for the best possible position for buyers’, sellers, and owners’ of commercial property. While managing property, he quickly learned to follow Western’s philosophy of never overselling a client and always placing the prospective tenant in what best suits their needs. Chad and his wife are members of several LLC’s, which own several buildings that have been bought or developed in Anchorage and the Valley. Chad and his wife, Ginger, have two daughters, Madelin and Gabriella. Together, they enjoy camping, hiking, kayaking, traveling, fishing and alpine skiing. Chad is an avid road and mountain cyclist and participates in several endurance and charitable rides each year. Chad helped re-establish the MS-150 Ride in Alaska with his tenant, the National Multiple Sclerosis Society, after completing several similar MS Rides in Arizona. Chad has been a member of the Anchorage Downtown Rotary serving on several committees over the years and has worked with numerous charities. Phil attended Northern Michigan University and came to Anchorage in 1969 with the U.S. Air Force as a Russian linguist. Upon completing his service, he and his wife decided to stay in Alaska. He began working for Western Enterprises, Inc. as a carpenter in 1972 and worked his way up to Superintendent of Western’s construction division, where he was instrumental in building over 30 commercial buildings and many custom homes. As Western grew and diversified into several divisions, Phil became licensed to practice real estate in 1984, was Western’s Broker for a number of years, and is still active as an Associate Broker. Phil has extensive experience in property ownership, management, and development dating back to the early ’70’s. Phil led Western as President for twenty-nine years during our rapid growth period in the early 80’s through the struggles of the Recession and mass migration from Alaska in the late 80’s and early 90’s, back to the controlled growth Western has seen over the last decade. Phil handed the position of President off in 2009. Today, as a shareholder and Board member of Western, Phil remains actively involved in consulting on outside projects as well as in the development of in-house projects. Phil and his wife Pat have been married for 44 years and have two sons and five grandchildren. They now spend much of their free time at their cabin on the Kenai River and in the winter, spend several months traveling in the lower 48.